Improve: Which path to choose? Alexander (one of surprisingly many Alexanders in my life) asked me here which path I would have chosen, if I could go back in time. The short answer is programmer, teacher or personal trainer. I still think all three are valid career choices for a young man in 2014, provided you like them. Things I liked before choosing money, i.e., before going to SSE to study finance at the age of 18, were martial arts, weight lifting, tennis, wind surfing, chemistry, computer games, programming and media. I think I could have become proficient in any of the mentioned disciplines and easily made a decent, living, probably even become wealthy. Becoming wealthy is however not the point. The real question is whether I could have become at least as happy as now with at least the same likelihood. On paper, I had almost zero chance of success in Finance. Sweden was entering a deep crisis around the time I applied for SSE (spring 1990). The crisis lasted my entire four years at SSE and the stock market had taken a long pause from the upturn that started in 1982. It could just as well have been over by then. Finance was not a good place to be, on paper. In addition, I was an outsider. I had no contacts, had an accent, no money, no fixed place to live and not even any concept that those things mattered. If I had known, I guess I would never have bothered trying at all. As it were, I finished SSE with top grades and after several weird interviews at places like Goldman Sachs, Andersen Consulting, BCG, McKinsey etc, I was hired by a small 3rd tier broker firm - as broker assistant. I accepted before finishing my thesis (which thus got postponed by 2 years) since getting any job was a success, given the state of Sweden in spring 1994. I could easily not have gotten that job and simply moved back home. There was no guarantee for success for an outsider without the right pedigree, name or friends and contacts. I was simply lucky that hard work and some intelligence made me noticed, and thus propelled me to my next position - as head of IT research at a big bank just as the IT bubble took off (Netscape's IPO). I liked computers, I understood internet architecture, I bought into all the industry jargon and three-letter abbreviations and made them mine (which made me appear in the know and trustworthy). If the IT bubble hadn't started right there and then, I wouldn't have gotten such a flying start. The next phase in my career was even less likely. 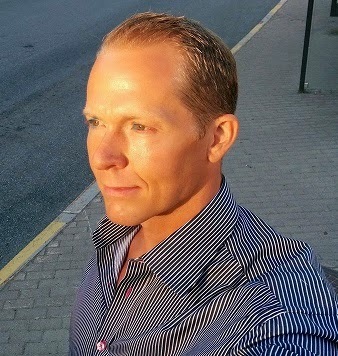 Just as I was about to quit the industry, leave the equity research sell side and move back home to Västerås from Stockholm, one friend was talking about starting a tech VC company with me. Then another acquaintance heard about that and wanted to retain me as an analyst, soon to be portfolio manager, at a recently incepted hedge fund. Out of the blue, completely unexpected for me, for my boss and probably for my friends as well, I accepted. The rest is history. 15 years of history to be exact. 15 years of success, awards, bonuses and dividends, fortune and glory. And just recently I had had enough and quit. For me, from that point, more money could never be the answer. Also, in retrospect, I never should have been there to start with. Sure, I had my good times, and when money is pouring in a lot of things are tolerable. Also, my video gaming habits were still there to help me, providing patience, endurance and an attitude of "any hardship or problem will be solved, no questions asked". "What if I had spent 25 years on school and work, toiling away with topics and tasks I weren't interested in, and didn't even get paid?!" However, my entire career from going to SSE, to choosing Finance, to getting my string of job positions, was so unlikely that anybody would be a fool to go for it unless it was something they had to do, or dreamed about or simply loved and would do anyway for minimum pay. I weren't any of those things. I was there for the money. Period. And if I had had an inkling of how difficult or unprobable it was that I would make it I would never have tried. What if I had spent 25 years on school and work, toiling away with topics and tasks I weren't interested in, and didn't even get paid?! That would have been a disaster life-wise. Now at least I can leave this parenthesis called Finance with a bag of cash. So, what path should I have chosen? What path would I choose if I could go back? I can't say what an 18-year old should do today, but rather than going into something as useless as finance, not to mention low likelihood of making it in a relevant way, I would still suggest programming, teaching and various kinds of technology (biotech, nanotech, materials) for a combination of fun, learning and chance at prosperity. And if fun is the main priority, take any job with as little responsibility as possible, and have fun in your spare time. With time your hobby might pay off. Summary (from "Give up! Restart"): Dare to find out what you like, through trial and error. Try, fail and give up. Then restart, pick yourself up. And don't judge others when they are trying the same. Don't be a hater. Inquire and learn instead. Try several different things and follow your excitement and happiness rather than the money (you might not even get it and then your time was truly wasted). As long as you don't buy a lot of unnecessary stuff, working at a burger bar is good enough to make it day by day, while you learn to know yourself and develop your skills. You don't need an expensive watch or a car or buying an apartment or fancy furniture. What you need is to know yourself and live for you instead of for others. If you have enough talent you might even end up making good money off of your hobby - like PewDiePie. By the way, check out Mark Cubans advice on progress here. And here is Jack Ma's interesting take on life: If you are poor at 35, you deserve it. Retard.